Oh, December, I'm so happy to see you again! How could I not be when everything is decorated for Christmas AND it's supposed to be close to 80 degrees here in Charleston today?! During the Thanksgiving weekend, I started compiling my wish list for Santa this year. I decided to go with a few little themes and mixed in some practical with some dream gifts. I really love putting together these lists, even just to look back on from year to year. Here are my 2013 and 2014 lists. Things haven't changed too much in two years! Decorating our bedroom: We recently purchased this fantastic duvet from IKEA and some cranberry-colored sheets from Target. I hope to make the room feel more home-y, and my plan is to change the sheet color each season, so I loved these silver and gray-scale accents: striped bookends, mid-century flared vase, silver globe, botanical jewelry trees, and tall Mercury glass bottle vase. Blogging goals: I really want to improve my photography next year, and I promised myself I will take a photography class in 2016. With some help from Allison, I finally narrowed it down: 18-135 mm and 24-105 mm. Pretty things: Helloooo, dream gifts. I've recently become enamored with rose gold, and just love this sculpted crescent Tacori ring and Cooper Rose Gold-tone Tortoise watch. Plus, no blogger can have too much Kendra Scott: Skylar green earrings and Dee black pearl earrings. Comfort: While getting more into makeup and fashion was fun this year, I am still someone who loves to be comfortable. These monogrammed Converses with mTd would be adorable, and everyone needs some new Christmas jammies: J. Crew flannel pants and set. Did you buy anything fun yesterday during Cyber Monday? Hint hint: make sure you check back tomorrow for another post with a few things to add to your own Christmas list this year. There will be a little something for y'all, too! Your bedroom picks have inspired me to add some similar items to my wish list...the bedroom is probably the least decorated room in our apartment and could use a little flair! jcrew jimmies are my fav thing ever. and i just gifted myself some kendra earrings bc yes! loving that mercury glass vase too. mercury glass anything! Love the shoes! Would be so cute for everyday wear. Those Jammies are adorable! I just got a pair from old navy and they are so comfy! 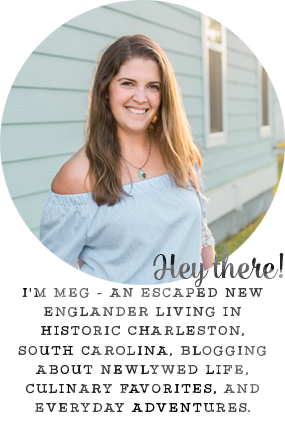 Love your blogging goal! I haven't compiled my list together yet!!! Ahhhhhhhhh! Blogging goals time...uh oh. You have rocked this year at growing your blog, I'm taking notes! What FABULOUS gift ideas. I am a huge fan of jammies and slippers. You should link this up with Katie, Sara and myself. It's supposed to break freezing here for the first time since Wednesday, haha. I love the watch! The monogram sneakers!! I've had my eye on those too! Love your list! I asked for something from Kendra Scott too...a Rayne necklace! So cool that you're going to take a photography class! My wishlist this year is pretty simple: Chicago PD Season 1, two Alex & Ani bracelets and I always love gift cards to any of the following: Erin Condren, Amazon, Target, iTunes. I'm always up for new lenses... so many to add to the stash. I'm jealous of your 80 degree temps! Hi! Thanks so much for linking up! Those jammies look so cozy. Um, hi, did you take a peek at my Christmas list when I wasn't looking?! This could essentially be mine from the pajamas pants to the lenses to the earrings. Love them all! Those pajamas look so cozy! I love pjs this time of year! I'll take one of everything please, ha! Loving all of the comfy PJs - I'm in desperate need of some of those! I am loving the converse, super cute! I own the KS Dee earrings in blue and always get a ton of compliments. Loving the watch you also picked out. I've never seen those Mercury glass vases from West Elm!!! Those are SO PRETTY!! 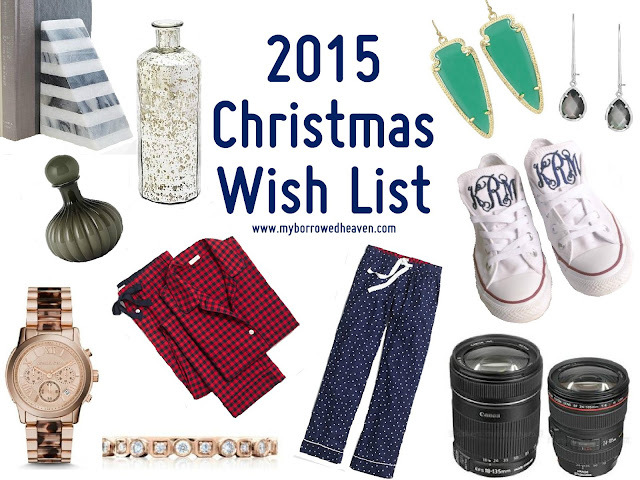 Loving all of those pajamas and the jewelry & how fun are the monogrammed converse?! I have a few things from West Elm on my wish list this year too-- sooo many pretty things! I'm trying to make my list for Keith, its hard! I made one for my parents for us but that was hard too! These ideas are perfect! LOVE the bookends and the buffalo plaid pajamas. You can never have too many pairs of jammies! Thanks so much for linking up with us today! I think I will copy this list and the one from yesterday and just ask for all of the same things. I reallllyyyy want to get a new camera and start taking better photos instead of just on my iPhone.